I have to say that I think Spezify has just become my favourite new search engine. I think this is a really great search engine to use in class with students or to get them to use. It's really simple. 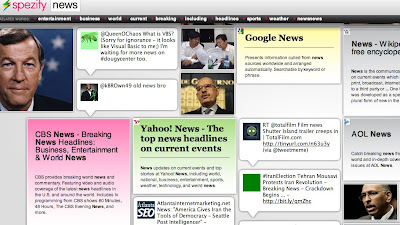 It displays all results as images and it searches a wide range of multiple media sources such as video, image Twitter etc, not only text. To make a search you just type in your key word and all the results start to appear as images. If you click on the small spanner icon at the top right you can adjust the setting. There is a safe search option here which is on by default, so that's handy. You can also turn various other options on or off so that you restrict which sources are included in your results. As I said I think this is a nice search engine to use in class on IWB / data projector or for students. You could type in keywords to brainstorm around topics or themes for the class you are doing. You could type in a keyword and get students to choose one result that they think will be interesting and get them to explore it as a warmer. You could get students to find an image, a text, a video and a tweet and write / talk about the connection between them. Or you could just use it to reinforce and find examples of vocabulary. 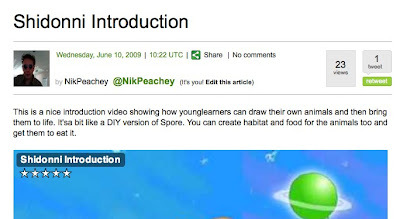 Hope you like Spezify and find some good uses for it in your class. 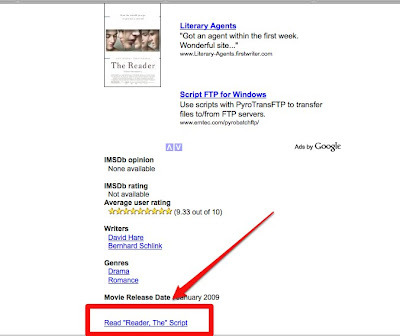 Something that's always handy to have as either reading materials, support for video lessons or for drama projects, is access to up to date film scripts, so The Internet Movie Script Database is a great one to keep in your bookmarks. It has quite a few up-to-date movies that are reasonably easy to access. 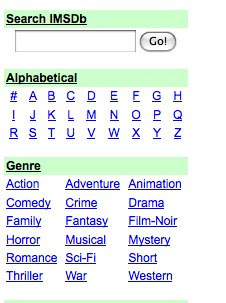 You can search for a particular name or browse by genre or by alphabetical listing. There's a landing page with a few ads on before you get to the actual script link, but one you get to the script it's reasonably easy to print or copy for you students. get students to read parts of the script and try to imaging the way the actor would say the lines (what kinds of emotions they would express through the words etc) then watch the films and compare. You could cut and paste the script into something like CuePrompter and get them to read lines from it that way. Scripts like this add a new dimension to reading activities because they use spoken language and screen / stage direction that push students to imagine and visualise how things would happen and be communicated visually on film. You can listen to an audio recording of the chat here. Many thanks to Carol Rainbow for supplying the recording for the session again. 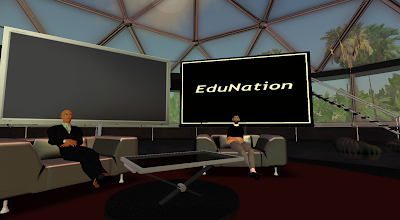 'Coffee With Pete Sharma' was hosted on Edunation II and sponsored by The Consultants-E.
Having an avatar (some kind of representation of yourself) can be pretty handy both for you and your students. It's a good way to protect your students' identity if they are becoming part of an online community and helps reduce the amount of unwanted attention that some very attractive students might get from having their real image on a site. 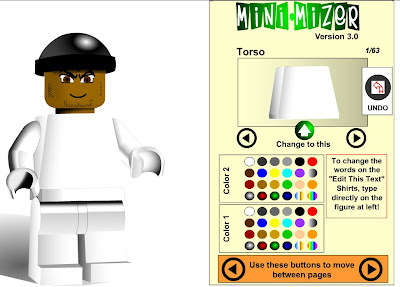 Mini-Mizer 3.0 is a really nice way to get your students creating avatars. 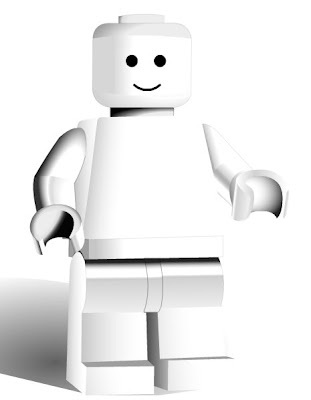 It's really easy to use and they can quickly click through the various options for customising the basic blank figure. They can add various extras and backgrounds as well as changing all the features of the face. They could try to make the avatar look like themselves or totally different. When they are finished they will just need to take a screen grab of the image and then they can use is it when ever they create online profiles on any social type sites. You can also use Mini-Mizer 3.0 in classes to develop language of description. You could write some brief descriptions of people and get students to try create an avatar of them. You could describe a famous person, get the students to create an avatar and then guess who the famous person is. The students could decide which avatar looks most like the celebrity. 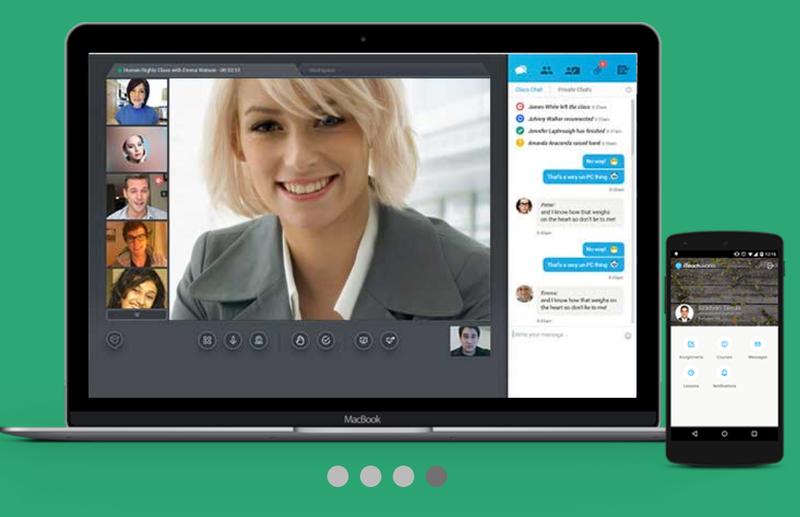 Students could work in pairs, one with an image that they describe but don't show while the other listens / asks questions and tries to recreate an avatar version of the image. Students could create avatars of someone in the class and the others could try to guess who it is. Mini-Mizer 3.0 is a simple free fun tool, that particularly younger students are likely to enjoy using and which can be used to help protect your students' identity. I hope you enjoy it. Recently, I've been doing quite a few interviews within Second Life as part of the Coffee With series, and one of the things that I've found most fascinating (apart from the insights of my guests of course) is the amount of text activity going on in the 'backchannel' while the interview is going on. Each time I ask the guest a questions, I see a stream of text chat appearing as almost everyone in the room adds their own comments and answers to the question I addressed to the guest. When this first started happening I found it incredibly distracting and a bit rude, but pretty soon realised that it was one of the most interesting aspects of this kind of event in Second Life and that there was some really valuable information being circulated behind and in response to what was happening in the interview and it wasn't being captured. This is rather a long introduction into why I find Today's Meet so interesting. 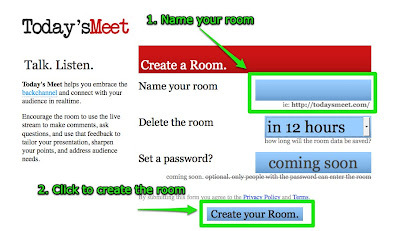 Today's Meet is a very simple way to set up an instant text chat room. 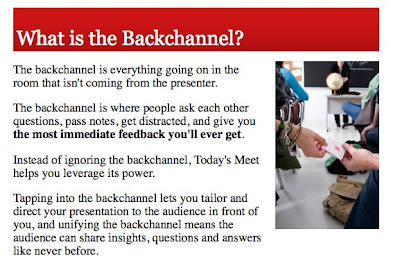 That isn't particularly anything new, but what is good is that they are promoting for use during classes, lectures, presentations etc, to capture the 'backchannel'. Share the URL with the people in your class, lecture, presentation etc. They log in and can chat and communicate with each other, share ideas, references, ask for clarification during the session. You can either respond to the text during your session or review it at the end and clarify, confirm, refute, augment. This makes the process of teaching/learning much more communal, collaborative, inclusive and hopefully engaging. 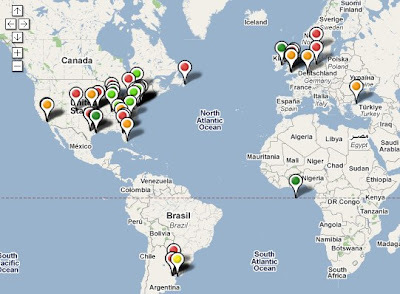 Of course this is a tool for those who are mobile connected, but still a good idea for those working in that context. You will also have to get used to people tapping away during your session, but especially for those working with really large groups where addressing everyone questions and comments can be difficult I think this means of providing a 'backchannel' to enable peer support can be really useful. I know that everybody loves Twitter at the moment and microblogging and other 'micro genre' are generally growing in popularity, but there are times when 140 characters or 12 Seconds aren't enough, and that can be pretty frustrating, so Write4net looks like a pretty handy tool for anyone who doesn't want to compromise on what they have to say, but still wants to deliver the message to their Twitter following. 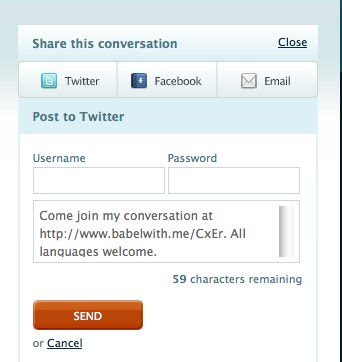 It looks quite simple to use and you don't need to register, though you do need to put in your Twitter information (or be logged in to your Twitter account) so that it can post to your Twitter feed. You just add a title, write your text and add some hash tags if you feel the need. Then start writing your text. You can format the text, add images, have external links and embedded video etc too if you want to go that far. Then when you are ready, just click to publish it and broadcast it to your following. Write4net creates a page for your posting and then your Twitter followers can click through to it. The page gives you some interesting stats too about how many people click through to the page and view your posting. Always handy to know this kind of thing. 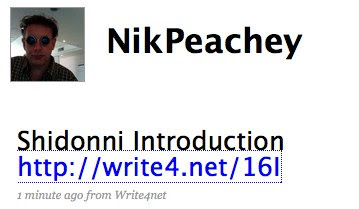 Write4net sells itself as being an alternative to a blog, and in the end it looks a lot like a blog, but it is really quick and simple and allows you to get a good degree of media rich information out to your Twitter following, though do be sure to add a good instructive title so that people know whether they want to click through or not. This is how my test posting appeared. If you are hooked on Twitter and use it a lot with students or get your students to use it a lot, this could be a really useful way of giving a bit more depth and scope to your interactions. It is really quick and easy. You could start using it to deliver media rich assignments with images and video, without having to go to very much trouble. Your students could also leave comments on the text (the comments will also be tweeted) , so there are some nice simple features here. On the whole I think this is a pretty useful tool, but I don't think it will be replacing my blogs quite yet. I hope you enjoy it. 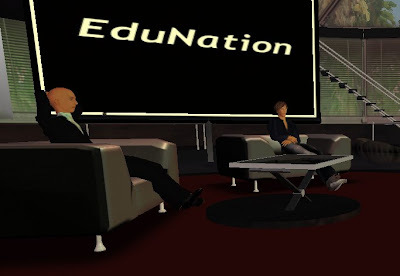 Sunday 14th June 09 (GMT 18.00 = 11.00 PST) will see the next in our series of 'Coffee With ..' education chat shows on Edunation II in Second Life, so please do come along, join our audience and meet other people interested in developing education and learning within Second Life. In this show I'll be interviewing, teacher, teacher trainer, and ELT author Pete Sharma. Pete is a Business English expert and has published books on blended learning. 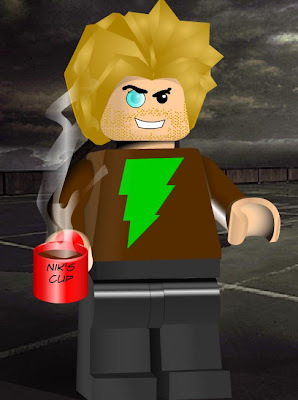 He also publishes weekly e-lessons for Macmillan and has his own office in Second Life. This is a chance to come along and participate in discussion with an ELT and technology expert. 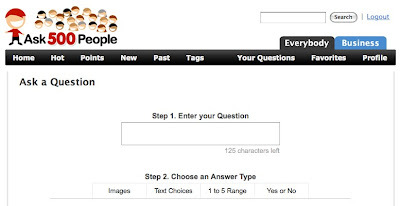 Ask 500 People is a really simple single question survey tool. You have to register, but once you do you can make a survey in just a few minutes. You just give your survey a name, then decide on the type of questions you want to ask. Perhaps what I like best of all for students though is that you can also see on a Google map where the answers came from. 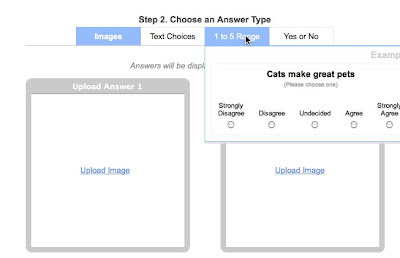 This is great if you are getting students to create surveys as they will get a really genuine feeling that they are able to get opinions from around the world, which must be so much more motivating than just asking the person next to you in class. There are also some very good, though many quite controversial, questions already up there and you could get you students discussing some of those and answering them in class and then comparing their opinions with some of those on the website and perhaps even posting their opinions (Check out the questions you use first in case their is anything offensive). Also great for doing Business English classes on market research and thinking of questions they could ask about products. You can see a list of 'hot' questions here. The other nice thing is that you get a choice of embed codes to either add the survey to a site page or sidebar as well as a hyperlink you can share. Here you can see the page widget with results and comments. I hope you and your students enjoy it. Here you can find quiz based activities for students. What Eyeplorer does, is to search Wikipedia for information based around one or two or even more search terms. 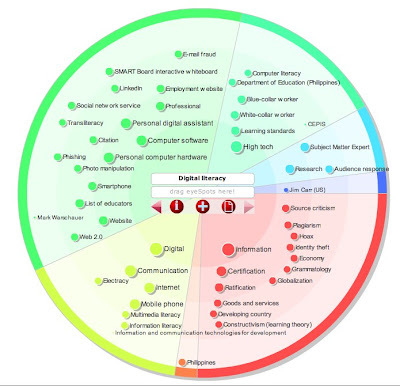 It then produces a spectrum of key words and concepts linked to those terms. You can then see notes on each term by hovering over the keyword. If the notes are relevant to your essay, you can drag them to the notepad at the side. Here's a video showing how it work. Once students have their notes they can either save, copy or email then to themselves. They then have notes on which to base their essay along with links to follow up and find more information. Great tool and a great way to show students how to use web sources without just copying and pasting complete articles.